Will your class escape in time? Try this escape room style game with your students today! This is a fun game that is perfect for the back to school season. This game focuses on students getting to know each other. It is similar to a “Find Someone Who” game, but an escape room version. 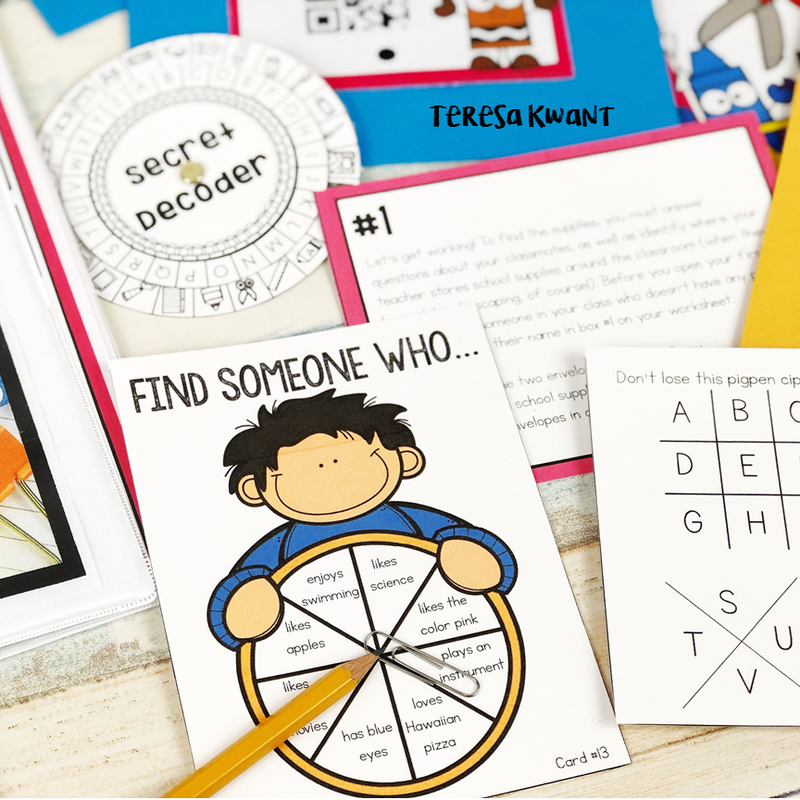 This activity is great for the first day of school, team building activities, and for students just getting to know each other! It is perfect for students in grades 1-2. The school supplies have come to life and are running away! If students don’t find them, they won’t have enough supplies for the year. 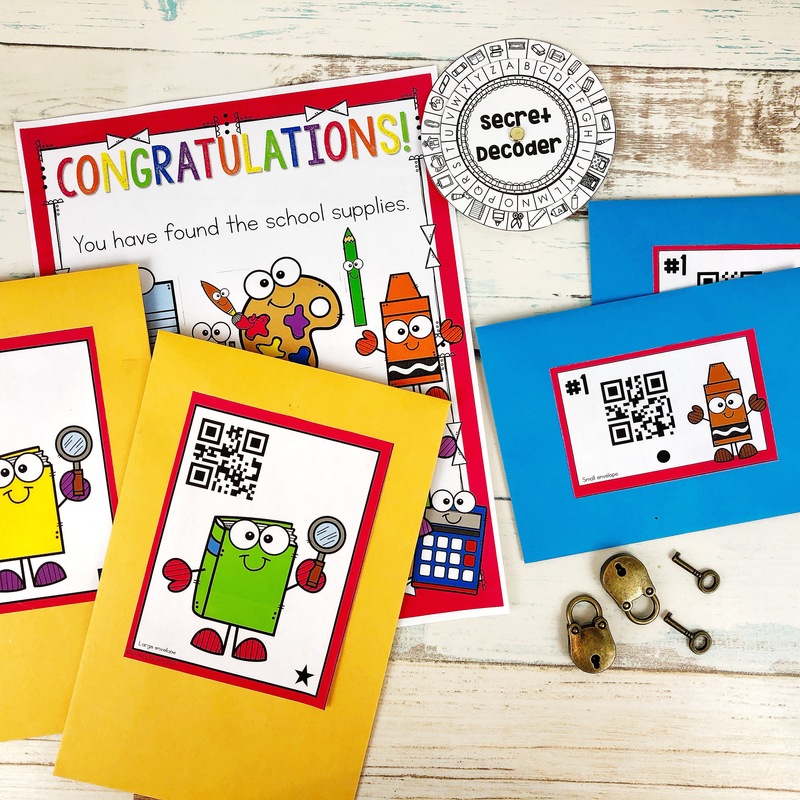 Not only will students be learning about their classmates, they will also be learning about where different school supplies are located in the classroom. They must solve a string of “find someone who” questions and clues, as well as decode different ciphers. If your class has never played an escape style game before, I HIGHLY suggest playing this as a whole class. This was so fun to do at the beginning of the year! Love the different levels available. The kids thought this was FUN! Looks like a fun activity for the students! Can’t wait to use this! Thanks! So fun! My class will love this! This was amazing and interactive. It helped my students learn where everything in the room is. I loved the very clear step by step instructions for setting it up! I look forward to using this in the first week of school. I am not sure how had more fun, the kids or me!!!! Can’t wait to see what you do next!!!!! Can’t wait to try this one! Looks fun! Thank you for your creativity! This is fantastic! I can’t wait to use this the first week of school! Thank you for this resource! My kids are going to love it! Thank you! The kids will love it! 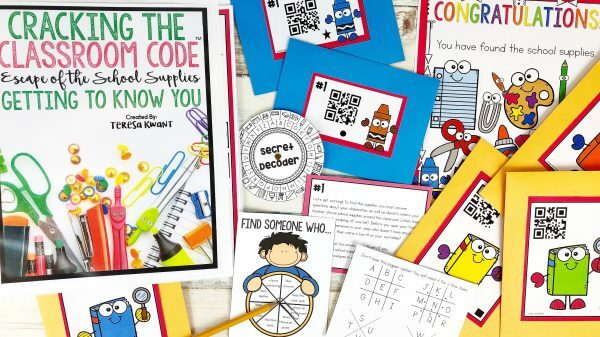 My students loved “Cracking the Classroom Code” last year! I’m looking forward to using these units with my new students in grade 2. Thank you! This was a great activity for my 3rd graders. They loved it. I can’t wait to do this with my class! I can’t wait to set this up. This is an awesome resource and I can’t wait to use it with my students! This activity is a great way to get the students involved and engaged right away. Thank you! So cute for the beginning of the year!!! Look forward to seeing how the kids react to this fun, first day activity. Really cute for back to school!! We had so much fun doing this on the first day! I cannot wait to use this at the beginning of the year! I twill be perfect to get to know each other and to explore the classroom! Excited to use this with my class! I loved this for beginning of the year. This is perfect for the first week of school! So excited to use it! Excited to do this with my class this year! Can’t wait to use this activity with my kids the first week! I plan on using this at the end of the first week of school. Last year, I did escape rooms with my students the last quarter of school. They enjoyed them so much that this year I plan to do one at least once a month. This will be a good introduction to escape rooms and a good way to practice where to find supplies. Thank you! I can’t wait to use this activity. I really like the cooperative nature of this activity. Everyone comes out a winner! So excited to use this the first day of school! Great back to school activity! I cannot wait to use this with my kiddos! So excited to use this for BTS! Such a fun idea! I can’t wait to use this with my students this school year! I was looking for the perfect back to school acitvity to do with my whole class and this is it!!! Awesome job! This looks fun! I can’t wait to try it. I can’t wait to try this out with my kids this year! I cannot wait to use this in my classroom! Perfect resource for back to school! Can’t wait to start the school year off with this fun activity. Thank you! My last class loved these so I’m excited to start the year off with this! I can’t wait to use this Crack the Code with my new firsties! It’s going to be so much fun in the first week of school! My students love these and we can’t wait to try this one! Can’t wait to use this on the first day of school! I can’t wait to use this in my classroom! The kids are going to love this activity. I can’t wait to use this with my new kiddos! Can’t wait to use this resource during the first few weeks back to school! Can’t wait to use this resource. Awesome resource! Looking forward to using it this school year. Can’t wait to use this when school starts! Perfect back to school activity! Can’t wait to use it. I can’t wait to use this when we start back with me second graders. I can’t wait to use this on the first week of school!! I am so excited to use this in my classroom. Kids love a good mystery to solve. I think this will definitely be a hit with my first graders. I can’t wait to use this the first week of school. I can not wait for the first day of school! I absolutely love that these activities do not require expensive locks or boxes. Simple to put together and use. I’m so excited to try it this year! I have it all printed and ready to go for the first week! Love this type of activity…..keep making them and I’ll be a customer for a long time. I love using these products throughout the year! When I saw this one, I knew it would be perfect for the first week of school! My second graders love these! Can’t wait to use this for back to school this year! 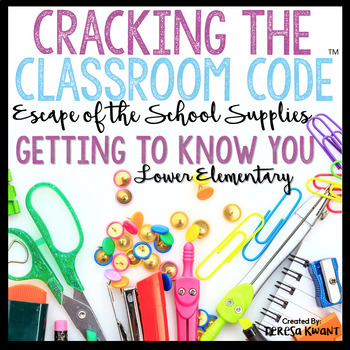 Love all of your cracking the codes and so excited to use this for back to school! So excited to use this the first week of school!! Amazing! Cannot wait to use it with my kiddos.